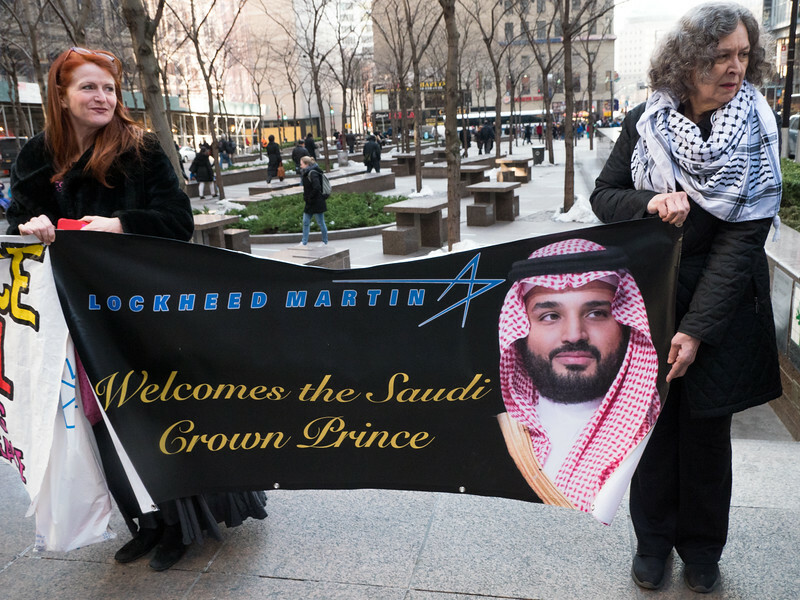 Mohammed bin Salman, is in town to meet with corporate leaders including one of the U.S.'s leading weapons manufacturer and chief merchant of death, Lockheed Martin. The U.S. Senate narrowly defeated a bil by Bernie Sanders that would end arms sales by the U.S. to Saudi Arabia as long as the war continues. The protest marked the third anniversary of this horrible and crimnal war.